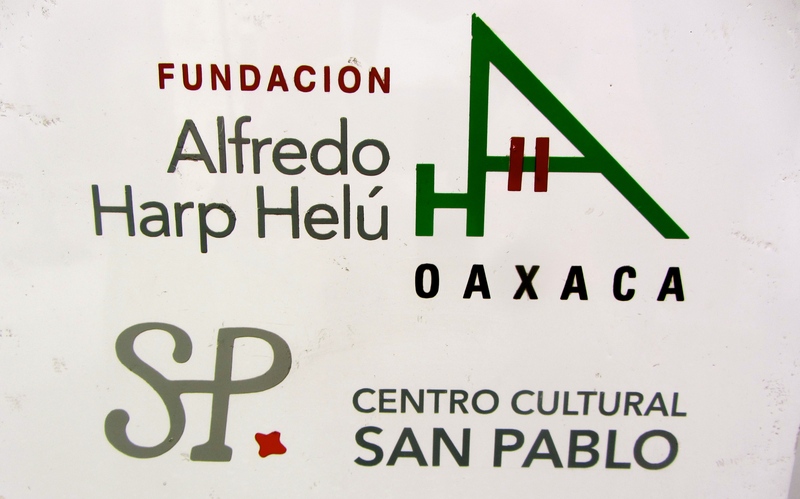 We will be hosting a welcome reception for you all on Sunday evening, July 5th, 7-9 pm, in the patios of the offices of the Fundación Alfredo Harp Helú, at 903 Independencia. 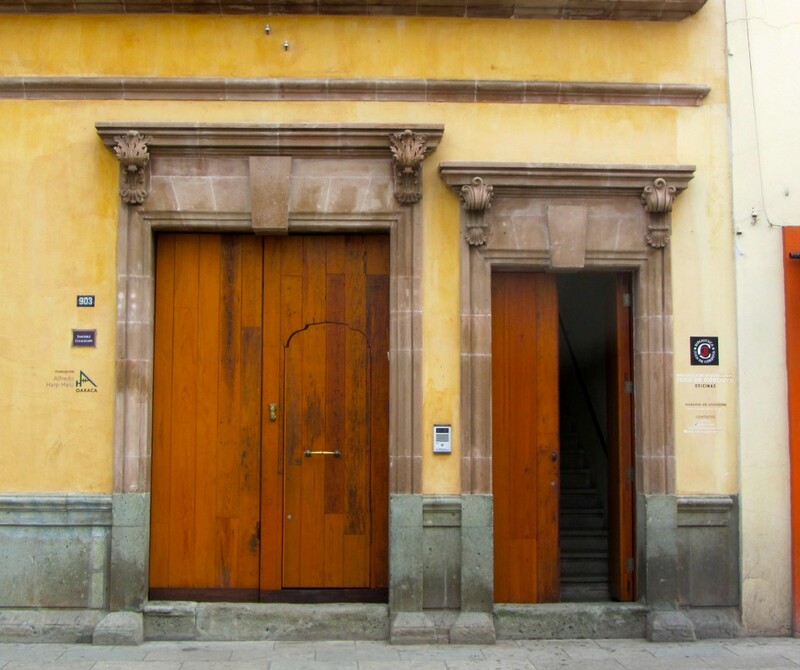 This building is a short walk east from the main squares (zócalo and alameda) in the center of town. It is also walkable from the area around Santo Domingo or the Llano, where many of you may be staying in hostals, suites, or studio apartments. Of course, if it is raining hard, you might want to flag or call a taxi from your lodging. Figure a taxi will cost about 45 pesos (about $3.00 USD) one way, depending upon the distance and whether the driver charges more in the evenings. To avoid a dispute at the end, you should settle on the price before you get in to the vehicle. Taxis in Oaxaca do not use meters. To save money, perhaps you can share a taxi with another NEH Summer Scholar who is in your place of lodging. Entrance door on left, small door within large door, will lead to the patio party site. It’s the door with the horizontal brass handle. People will be watching out for you, but do come in. The door on the right will probably be closed. If it rains, there is a corridors and a covered area near the two patios where we can stay dry. 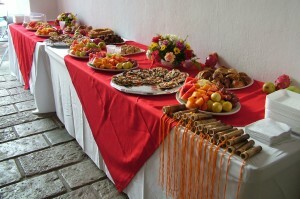 There will be a buffet of food and beverages — a taste of Oaxaca — although not a sit-down dinner. Fairly casual. Family and friends who are traveling with you are welcome to come meet everyone, too. Our seminar meeting room for Monday will be across the street, at Independencia 904. Finally, PLEASE email me (Stephanie) or telephone me as you are getting settled if you have any questions or problems arising during your arrival weekend. Stephanie’s local phone number (cell) will be given in July. The phone number (cell) of our Oaxacan assistant, Bertha, is: 951-184-4707. Add 044 at the beginning if calling from a land line in your hotel or wherever. Also, Ron & Jerilyn Lancaster can be reached at the Parador Santo Domingo de Guzmán, at 514-2171 (ask the reception to connect you to our suites. 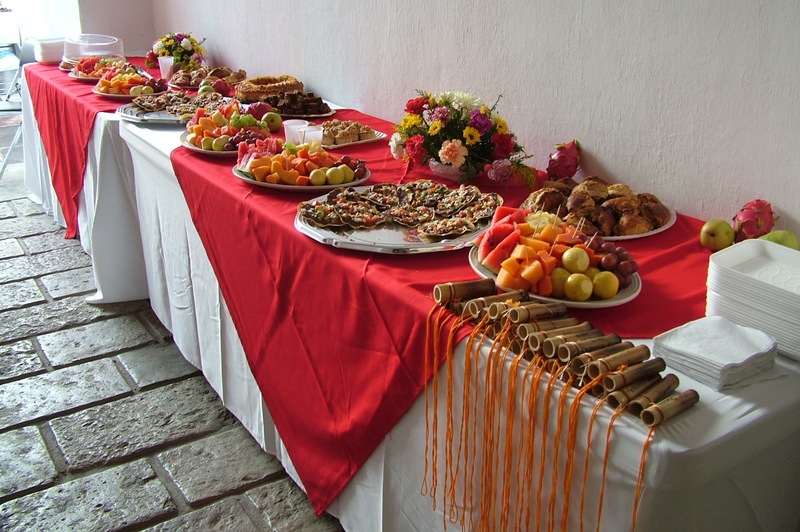 In case you have to miss the welcome reception, on Monday morning we will be meeting in the CACSP at Independencia 904. Ask to be shown to the Aula Don Luis de León Romano. We will gather at 10:00 AM. This is the sign you will see where you enter to go up to our seminar room (and then proceed up one floor) at 904 Independencia. Another sign at the entrance to the building that has our seminar room.